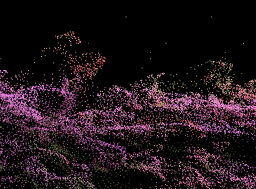 Pcx is a custom importer and renderer that allows for handling point cloud data in Unity. Pcx uses the 32-bit vertex index format that is newly introduced in Unity 2017.3, so it’s not compatible with the previous versions of Unity. Currently Pcx only supports PLY binary little-endian format. Download and import one of the .unitypackage files from Releases page. You can also use Git support on Package Manager to import the package. Add the following line to the dependencies section in the package manifest file (Packages/manifest.json). Note that this feature is only available in Unity 2018.3. See the forum thread for futher details. There are three types of container for point clouds. Points are to be contained in a Mesh object. They can be rendered with the standard MeshRenderer component. It’s recommended to use the custom shaders included in Pcx (Point Cloud/Point and Point Cloud/Disk). Points are to be contained in a PointCloudData object, which uses ComputeBuffer to store point data. 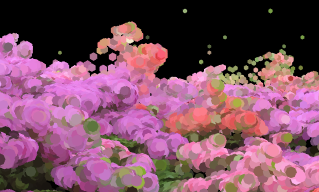 It can be rendered with using the PointCloudRenderer component. Points are baked into Texture2D objects that can be used as attribute maps in Visual Effect Graph. There are two types of rendering methods in Pcx. 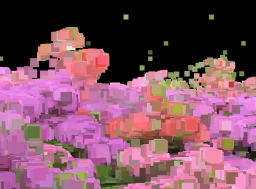 Points are rendered as point primitives when using the Point Cloud/Point shader. The size of points can be adjusted by changing the material properties. These size properties are only supported on some platforms; It may work with OpenGLCore and Metal, but never work with D3D11/12. This method is also used when the point size is set to zero in PointCloudRenderer. 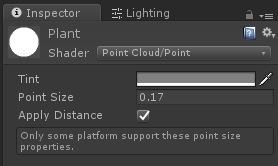 Points are rendered as small disks when using the Point Cloud/Disk shader or PointCloudRenderer. This method requires geometry shader support. The point cloud files used in the examples of Pcx are created by authors listed below. These files are licensed under the Creative Commons Attribution license (CC BY 4.0). Please see the following original pages for further details.